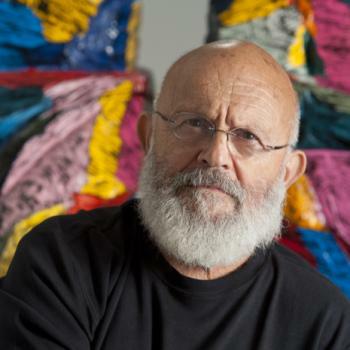 Jim Dine is an American pop artist, born on June 16, 1935 in Cincinnati, Ohio. He studied art at the Cincinnati Arts Academy and later at the Boston Museum School and Ohio University. 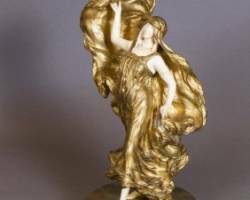 He is very famous for his images of everyday and found objects like a man's dressing-gown, a heart, or the Venus de Milo. He has used these images again and again in different compositions and turned them into his own trademark. Dine's most strength, is that he is able to produce a prolific amount of work in a wide variety of mediums such as painting, sculpture, printmaker, illustration, performance art, stage design and poetry. He first earned respect in the art world with his Happenings in the early 60's. These were unusual theatrical or performance art events. Dine's use of everyday objects in his work during the 1960’s linked him to the Pop art movement but his work also combined elements of abstraction, Minimalism and conceptual art. By the 1980’s he had become seen as a forerunner of the figurative and Neo-Expressionist trends. In 1957 he married Nancy Minto and the following year they moved to New York. Although New York has remained his base he continues to move around in reach of inspiration and has set up dozens of temporary studios in cities all over the USA and Europe in order to focus on special projects or to prepare exhibitions. Get a free JIM DINE estimate HERE AND NOW!